In any multilateral setting, some state representatives weigh much more heavily than others. Practitioners often refer to this form of diplomatic hierarchy as the 'international pecking order'. 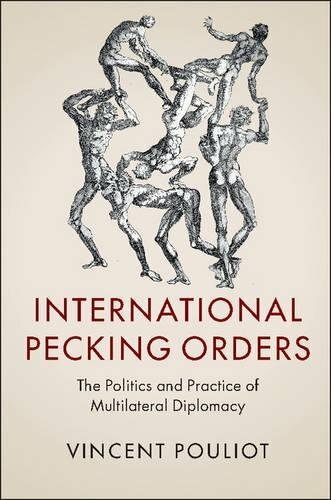 This book is a study of international hierarchy in practice, as it emerges out of the multilateral diplomatic process. Building on the social theories of Erving Goffman and Pierre Bourdieu, it argues that diplomacy produces inequality. Delving into the politics and inner dynamics of NATO and the UN as case studies, Vincent Pouliot shows that pecking orders are eminently complex social forms: contingent yet durable; constraining but also full of agency; operating at different levels, depending on issues; and defined in significant part locally, in and through the practice of multilateral diplomacy.